Aiming to be always ahead of the curve, Aqua Sphere has developed what is being billed as the world’s first single-lens swim mask. 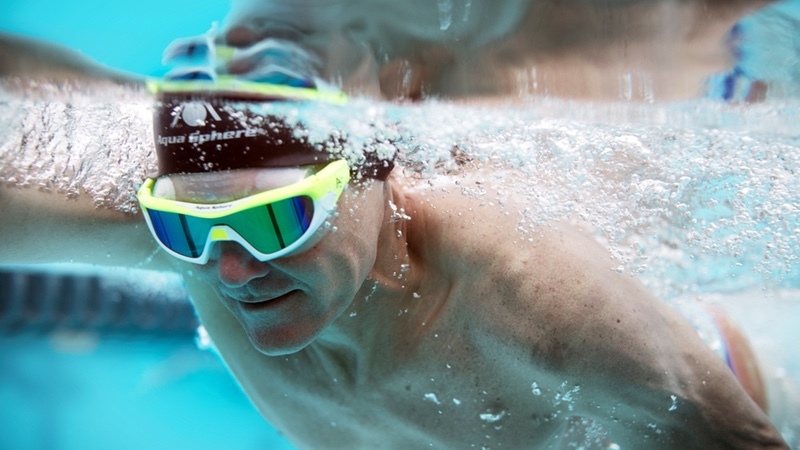 The new Vista Pro Swim Mask is said to ‘provide uninterrupted distortion-free panoramic vision’ in the water. Featuring Triaxial Curvature Technology, the single curved lens of the Vista Pro is made in optical grade polycarbonate for visual clarity. Clever new Pivoting Quick-Fit buckles help to make tightening and loosening quick and simple – whilst the mask is in place. The pivoting action of the buckles allows the mask to adjust and rotate to mirror the shape of the head, creating a comfortable watertight fit without undue pressure points and without risk of bending or warping the frame. Streamlined and delivering 100% UVA/UVB protection from its single lens, the Vista Pro is available to buy from January from quality sports retailers across the UK including Simply Swim, Pro Swimwear, Wiggle, Mail Sports, Allens and Sigma. Available in clear or dark lens options and a choice of gold, blue or green mirrored options, which reduce light transmission in bright outdoor conditions, prices start at £49.99 for clear and dark lens versions to £54.99 for mirrored lenses.